When your cat or dog is ill, you want to help them feel better quickly. We understand that and will do everything we can to assist you. We take pride in offering compassionate customer care. Please feel free to contact us and tell us about your pet’s health concerns. Email is by far the fastest and best way to reach us. Most pet owners have indepth questions and to provide you with a meaningful answer from a qualified professional, we need specifics. 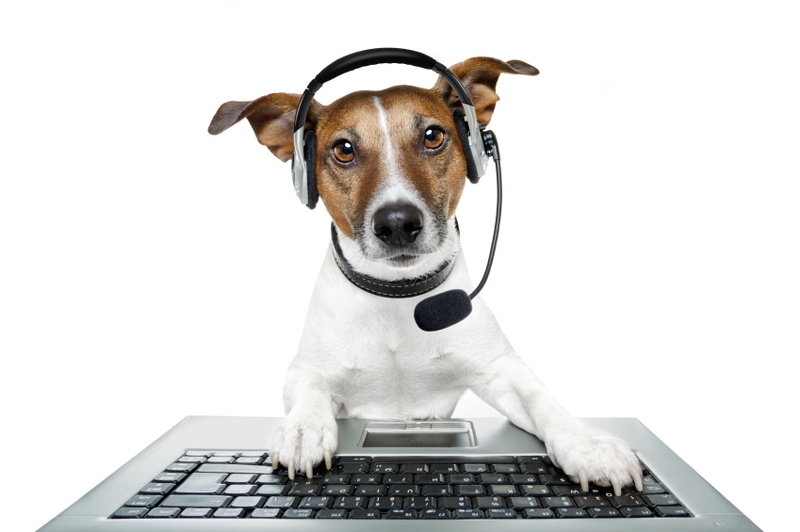 Email enables us to answer your question more thoroughly as we can include links and information to get help for your pet in a prompt and effective manner. We want very much to help your pet feel better! We will do our best to answer product questions, concerns about ordering and can offer you links to articles about which supplements are used to address a particular health concern. For over 10 years we offered telephone and inperson appointments with Susan Davis, Pet Nutritionist and Dr. David Gordon, holistic veterinarian. However veterinary regulations have changed stipulating that consultative advice may only be provided following a physical examination of the pet. As a result, please understand that as much as we would like to help, we will adhere to veterinary regulations and cannot review medical information, prescription/diet protocols or provide any type of consultative advice over email. We will be glad to direct you to information on our website that provides general information about symptoms or health concerns, but we cannot analyze your pet's information or provide you with veterinary or consultative advice. For example, please do not send us your pet's laboratory test results as we cannot make an evaluation over email. If you include information about your pet's diet on the order form at checkout, Susan Davis, nutritionist will be happy to include a free diet suggestion on the packing slip that comes with your order. The diet suggestion is general information and diet tips that are important in helping a pet's health condition. We do not however, provide any ongoing veterinary support or nutritional advice over email. We cannot provide emergency veterinary assistance. If your pet is needing urgent care, please contact your veterinarian right away. We do our very best to answer your emails as promptly as we can! Rest assured you will receive a response within one business day. Ask Ariel offers the best pet vitamins and supplements fresh from the manufacturer to guarantee potency. Many of our formulas are sensitive to heat and moisture so we want to be sure you receive a fresh product that we know how long it has been in inventory. Only the best. For these reasons, we do not accept returns. If you are in doubt if the products are right for your pet, please consult with your veterinarian before ordering. We cannot make guarantees or promises. We operate Ask Ariel with the utmost integrity and want more than anything for your pet to get better using the finest human-grade, veterinary-approved supplements available for pets. Please see our store policy page for more information.